Nearly seven in 10 expats in Taiwan say they spend less on health care than they used to before moving – compared with a global average of just three in 10. Meanwhile almost two-thirds say they enjoy a higher quality of health care in Taiwan than they did at home, against a global average of less than four in 10. 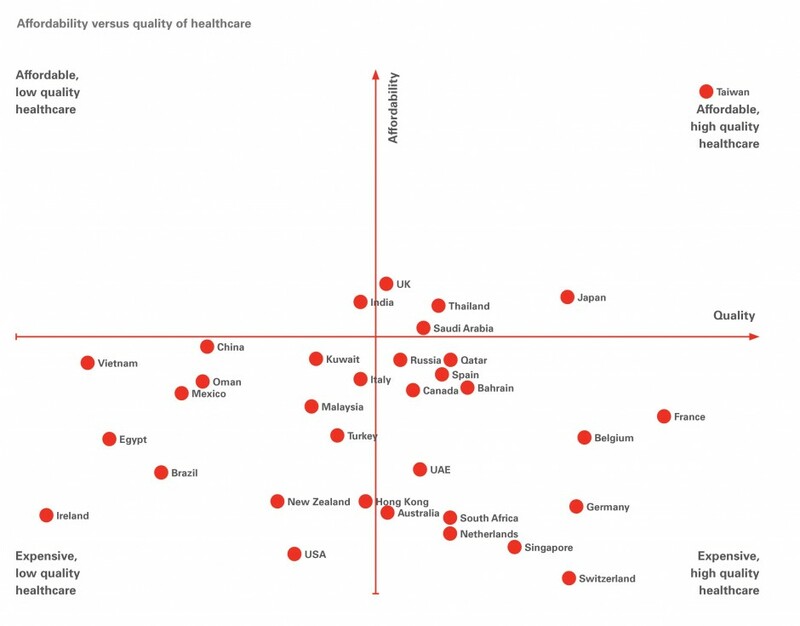 Runners-up on the chart produced by HSBC showing affordable and cheap countries in terms of care were the UK, Thailand, Japan and Saudi Arabia. At the opposite end of the scale, expats in Brazil, New Zealand, Ireland and the USA complained that they have to put up with expensive and poor quality health care. The statistics form part of HSBC’s latest Expat Explorer survey which was completed by more than by 9,000 expats from over 100 countries through an online questionnaire in April and May 2014. The survey report said: “The Taiwanese health care system is coveted by health care tourists around the world, but its simple rules for expats and provisions for health insurance are what distinguish it from the pack in this year’s survey. “Upon relocation, all expats and their employers are required to register with the National Health Insurance system, which grants them access to medical and dental care. According to the Foreign and Commonwealth office, around 120,000 British nationals travel to Taiwan annually and about 3,000 Britons live and work there. The population of the island is around 23 million. According to the Internations expat forum, the NHI premium is 4.91 per cent of gross earnings. The employee pays 30 per cent and the rest is contributed by the employer and by government subsidies. Those who travel to the country on a short-term basis can expect to pay in cash for any medical services they require.